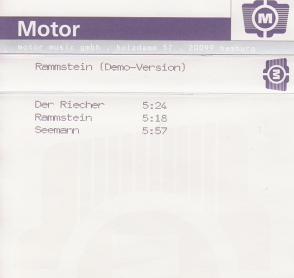 In 1994, Rammstein released some demos that are currently very rare. Some are original songs and some are also demos that became songs on Rammstein's first album, Herzeleid. These are the most well known demos found across the internet.